Each summer, La Maison du Chocolat embarks on a voyage in search of new flavours. Nicolas Cloiseau, Meilleur Ouvrier de France and Master Chef of La Maison du Chocolat, has chosen to take us to Corsica with a collection paying tribute to the emblematic ingredients of the isle. On this fragrant island where scrubland, garrigue, and mountains intersect, native flavours are inscribed with the untamed nature of this rugged terrain. Completely smitten by its frank flavours, wild vegetation, and citrus fruits with complex flavours, Nicolas Cloiseau gives his personal vision of this isle of beauty using fruity and acidulous associations with chocolate. 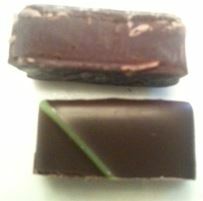 Nepita – dark ganache flavoured with an infusion of Nepita Corsican mint with notes of fresh herbs and peppery mint. This sounds scary but it isn’t. The flavours are gentle and muted and fresh. The herbs are delightful and more of a subtle addition rather than a stand-out flavour. The balance is perfect with the chocolate but the mint is what you remember – an almost mint infused in cream smoothness comes through the nose from first to last and it doesn’t have that toothpaste or After Eight flavour. 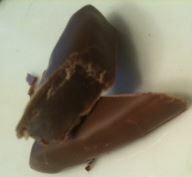 It is a gentle mint like something you caught a hint of on the wind as someone nearby crushed some in their hands. So gentle and mild everyone will love it. 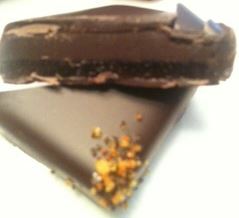 Ampamakia, dark plain ganache reveals the fresh zesty, citrus notes of this cacao from Madagascar. 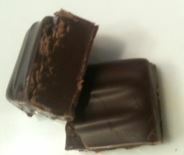 This is a wonderful, smooth dark chocolate ganache with fruity flavours from the chocolate coming through. 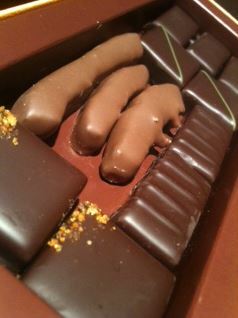 I could probably eat a box of these to just continue to savour the flavours. Absolutely gorgeous treatment of the beans to get that light citrus note naturally from the bean coming through in the ganache. There may be no added flavours in this one but it tastes absolutely phenomenal. All in all this is a brilliant collection. Whether as a gift for someone else or for yourself, the flavours are complex but not challenging so anyone can enjoy them. I hope they have a fee of these flavours on the counter as I’d like to buy myself a box of just the Maquis d’Ete and the Ampamakia!